I am Clinton-Amang Amang a growing entrepreneur. I have great interest in online businesses and already planning to start my own BLOG. 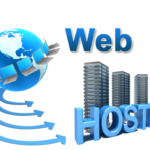 My first challenge is paying BLUEHOST to register and host my website. This is a challenge because I only own a local account with a Nigerian Bank. Please how do I pay BLUEHOST? I shall be grateful, getting directives from you. Thanks Mr Abas, this has this is cool. At least i have some insight on how to create a blog. honestly i am highly impressed with your coaching and your write ups online, for past two weeks i have known you i have gain tremendously from you and may God bless your efforts. i am yet to create my own blog name and how i wish i can achieve more training from you not only online in practical aspect as well i mean (physical training)if it is possible i would so much appreciate it. I am always passionate reading ur write ups.this had helped me a very long way.God bless u.l want u to help me host my site with wordpress.mail me on hw to go about it thanks. Thanks for reading the post. You can reach me via email (basicfreelance@gmail.com) or call me on 08062357604. I recently created a WordPress blog for my business. 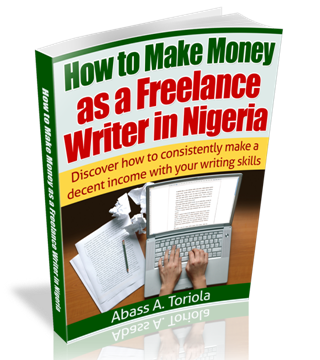 Mr. Abass, I am very pleased that I came across your post and your e-book which was free. they were very helpful to me. 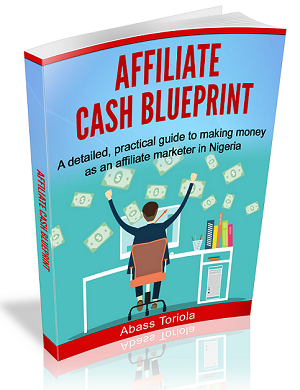 As I went through your book I found out that it is a real guide to people in Nigeria who are interested in online business. I will follow the steps you have given and if i have any confusion I will also contact you. Thank you for this book. More POWER TO YOUR ELBOW. 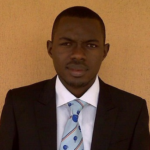 Honestly, I have assimilated a lot from this blog, thanks Mr Abass. But am having an issue with ordering hosting plan from a foreign company because of this Diamond Debit Card Ban. Please Master Abass, can you help me Order a hosting at namecheap.com, while I pay you directly via bank? Send me an email. See my hire me page for my email. Mr Abass thank you for all the effort you have put into this site in order to educate and to alleviate people of financial hardship. am a wannabe blogger. so I have this one question: does it cost money to get a domain name?… #you made mention of Free Domain Name severally. Yes, a domain name ordinarily costs money. 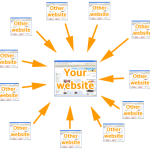 But some web hosts will give you for free if you purchase a hosting plan with them. Mr Abass that you for all the effort you have put into this site in order to educate and to alleviate them of financial hardship. am a wannabe blogger. so I have this one question: does it cost money to get a domain name?… #you made mention of Free Domain Name severally. Ok this just helped me with understanding the whole “self hosting” saga. I already bought a domain name. Already hav a blog with some content. so if I move to wordpress. org will it have any effect on my previous domain name with . com? 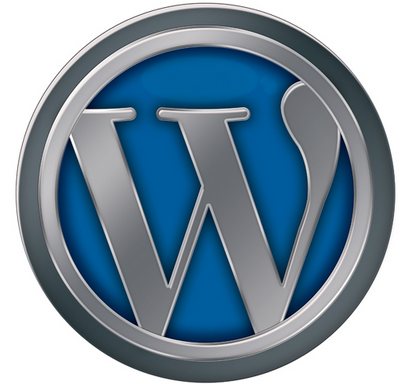 is wordpress. org the hosting plartform itself or why do I see things like bluehost or godaddy when WP is showing me options for hosting? if I self host, will I still continue with the word press environment which I am already accustomed to or I will b working in a whole new setting? Is the cost for bandwith seperate from the cost of monthly hosting or only if bandwith is exhausted then I wil hav to pay? Will self-hosting hav any effect on my previous content, hope it will not b like starting it all from scratch? Kindly respond to each of these for me Mr Abbas, May God add to ur wealth of knowledge. Thanks for your kind words. I’m so glad you found this blog helpful. Yes, you’re free to contact me whenever you have questions. That offer is closed, and that’s why you couldn’t find the comment box. You actually have full rights to your domain. The only issues you might have is that it might take time to move your domain to another registrar. Secondly, you might have to forfeit your initial payment with the first registrar. As for you not being able to transfer it, that’s not true. But it’s not usually fast and straightforward. 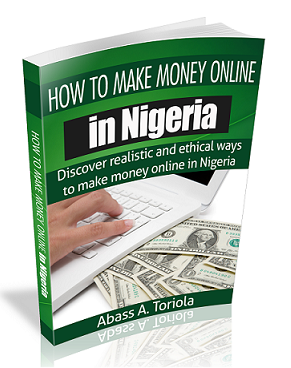 Thank you very much Abass for your wonderful post. You really opened my eyes on blogging, actually the difference between setting up blog through WordPress.com and WordPress .org. Your post is truly very helpful. Thank you a lot Abass. Yes, you can. But don’t expect a smooth sail. Respect sir, your posts are very essential for beginners n they are interesting n very easy to understand. 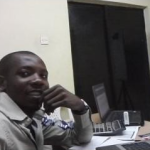 my question is can I turn blog to complete community forum like nairaland or I need website? n which hosting company will you recommend out of ASO, eHost, bluehost n why? 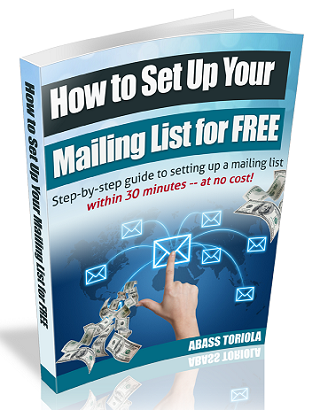 Dear Abass, people like you are hard to come by, thanks for the great information you are sharing. I wanted getting a self hosted website with WordPress. can you send me some details, I shall be grateful. 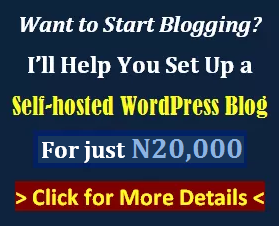 I can help you set up a self-hosted WordPress blog for just N12,000. That price covers the cost of domain name registration, hosting plan purchase, WordPress installation, and customization. Let me know when you’re ready. Hello Abass, am interested in this. I want you to help me build a blog. I read some of your books, they are very strict, straight forward and very explanatory. I am really pleased to come across them. More grease to your elbow. Abass, thanks for the post. 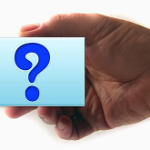 What do you think about using a custom domain name on blogspot platform. Thanks for the post. That’s fine, but that still won’t take away the disadvantages of the Blogger platform. WISH WE HAVE MANY GOOD PEEPS AROUND, NOT JUST FOR PROFIT BUT HELPING LIFES MATTERS.HAVE COME ACROSS MANY POST ON SETTING UP blog ! Your yesterday’s mail took me to the post about blog setup, and its awesome. But sir, I have a problem, I gave out my laptop to my son since I couldn’t afford a new one for him. For months now I have been working with my TECNO tablet. I am handicapped as a tablet can not perform blog setup as a desktop or laptop would. I am presently planning how I get a tokunmbo desktop since that on is cheaper. That post will afford me the bogs I need for my online business as am about to retire. Thanks though. One quick question for you. Is it possible to post articles on a blog from my phone? Or is it solely done with a computer? Honestly speaking, I just found out about your website today and I must say, out of all the websites I’ve been reading on internet business, yours is the most informative. Just today alone, I’ve read not less than 10 articles here. From what I gather, you like what you do and you don’t just do it for the profits. That’s rare. I’ve been gathering information on how to start a blog recently, and I just want to be well informed before I venture into it. And also I need to have enough start-up capital for things such as a laptop and subscription, domain name and web hosting. I have the passion for blogging, and I think it’s something I’m willing to do 100%. Any advice for me? I’m glad you found the information on this blog very helpful. It’s good to know that you’re passionate about blogging. Here’s my short advice for you: Choose the right niche, and don’t be desperate. How much will it cost to run a self hosted wordpress on ASO for a year (I mean the total cost)? 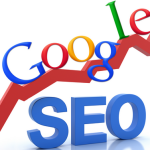 I`m really interesting in reading your awesome guide post on a subject that every internet marketer should learn about and know the ins and outs of the entire process. 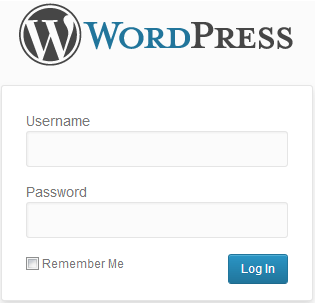 It`s how to set up wordpress blog on self hosted. The first time (since 3 years ago) I bought a $27 ebook on how to do that. However I found your post more valuable than that ebook. Thanks for your kind words. I’m glad you found the post helpful.